Twenty-four hours remain before we bust down the doors of Royale Night Club and throw the biggest geek party Boston has ever seen. But who’s on the guest list for the TechCrunch Meetup + Pitch-off, going down at 6pm tomorrow night? Well, alongside Formlab’s Maxim Lobovsky, who will be joining us for an on-stage interview, we’ve also got a star-studded panel of expert judges as well as some awesome Pitch-Off companies. But before we get too in-depth, let me refresh your memory on what’s about to happen. TechCrunch is bringing a handful of writers and editors to Boston to throw the second-ever Boston TechCrunch Meetup + Pitch-Off. This includes quite a bit of booze, a pitch-off competition where select startups have 60 seconds to pitch their product to judges, and general networking and merriment. 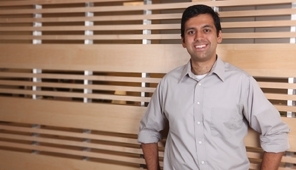 Nitesh focuses on investments in early-stage technology businesses. His areas of special interest include online marketplaces, SMB software and e-commerce. He is currently active on the boards of BigCommerce, CoachUp, Handybook and Mark43. He previously invested in Locu (acquired by GoDaddy). Nitesh is also a co-founder of Rough Draft Ventures, an early-stage fund that invests in student entrepreneurs in the Boston area. He is based in the firm’s Cambridge office. Before joining GC, Nitesh was on the founding team of Getaround, a peer-to-peer car sharing company and was the founder and CEO of Summer Workation, a social enterprise matching teachers with enriching summer opportunities. Nitesh previously worked on a number of education and business strategy consulting cases as an associate at The Parthenon Group. Prior to that he worked with the Customer Insights and Business Analytics team at Google. Nitesh is a graduate of Harvard University, earning a B.A. in Social Studies and Singularity University. David Beisel is a co-Founder and Partner at NextView Ventures, a dedicated seed-stage venture capital firm focused on internet-enabled innovation. Previously a Vice President at Venrock, he also co-founded Sombasa Media, an e-mail marketing company successfully acquired by About.com where David served as VP Marketing. For the past decade he has led the Web Innovators Group, Boston’s largest ongoing tech meetup. Lesley and her team are the behind-the-scenes masterminds who take a people-centered approach to improve, design and innovate the Zipcar member experience across all touch points and supporting systems—from mobile to web to member support to the Zipcar itself. Among many other cool experiences, Lesley led the charge in creating Zipcar’s smartphone applications, making it possible for the rest of us to reserve a Zipcar and honk its horn from across the parking lot. Prior to Zipcar, Lesley was part of the Microsoft Office Product Group and held key product management and marketing roles at Groove Networks. 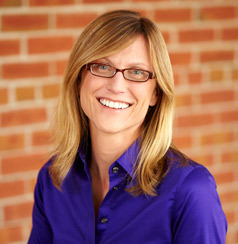 Earlier on, working in an international service design consultancy, she led cross-discipline teams to design and deliver innovative, service-focused, simple experiences for all kinds of consumers and for global clients with complex, multi-channel service delivery systems like BMW, Sheraton, Weight Watchers and AT&T. If you still need tickets to the event tomorrow night, head over here. Can’t wait to see you! Sponsors make events like these possible. If you’re interested in sponsoring a TechCrunch meetup, please email sponsors@beta.techcrunch.com.